Installation view of Jude Griebel's "Crafting Ruin", 2017. 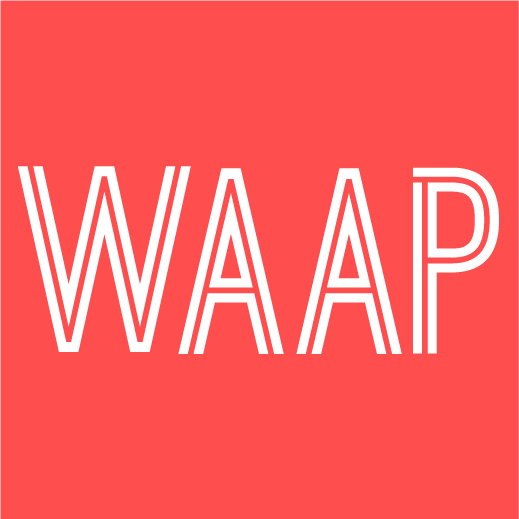 Images courtesy the artist and dc3 Art Projects, Edmonton. Installation view of Jude Griebel's "Crafting Ruin", 2017. Installation view of Jude Griebel's "Crafting Ruin", 2017. 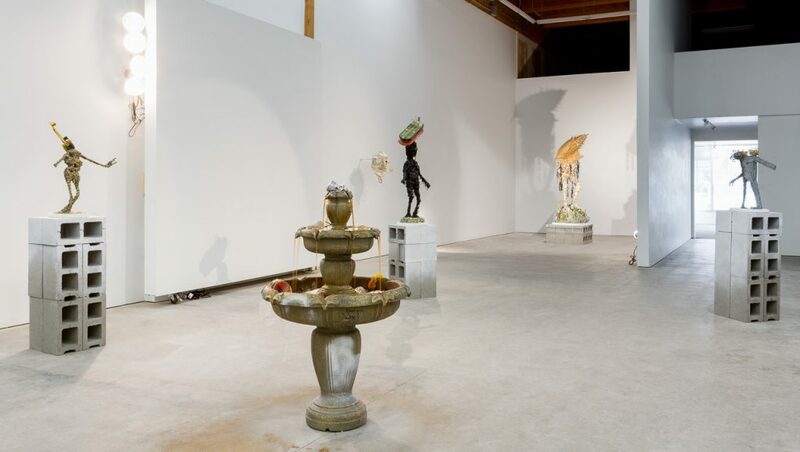 Installation view of Jude Griebel's "Crafting Ruin", 2017, at dc3 Art Projects, Edmonton. Jude Griebel’s sculpture garden of unearthly delights presents an ambiguous vision, part whimsy, part cautionary verse. 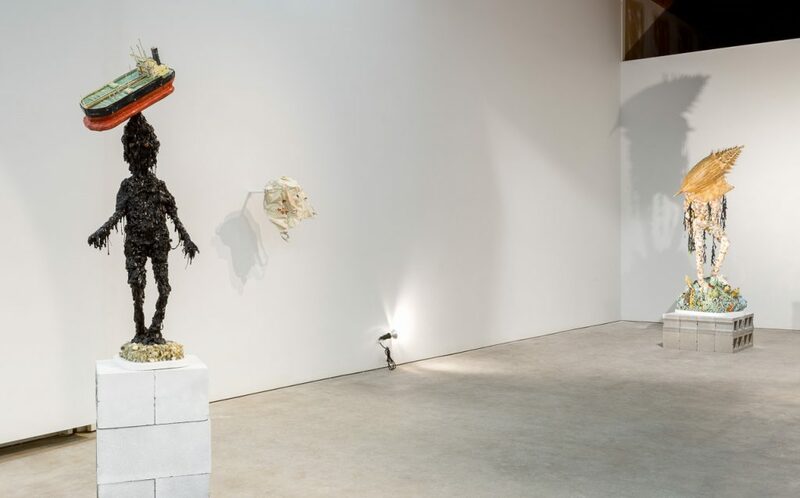 In this exhibition, titled Crafting Ruin, Griebel creates a race of biomorphic creatures evolving through polluted oceans, trash heaps and urbanized landscapes. Ostensibly human and mostly male (some more specifically, others by attitude) Griebel’s figures emerge from 1980s pop culture and symbolic and iconic visuals of waste, urbanization and – here’s an old-fashioned word – pollution. At the centre of the gallery, confirming the sculpture garden feel, a fountain spews evil brown water (it’s tea – no worries) over predictable detritus. Griebel’s choice of garbage is not accidental. From oiled birds, to the white grocery bag grinning at you from the wall, trash is chosen to trigger well known narratives around consumerism and environmental degradation. 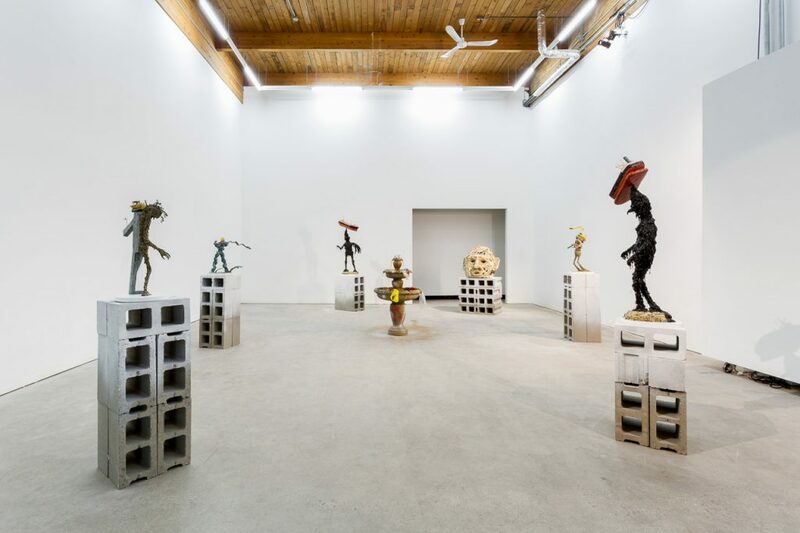 Cinder block plinths support a rough circle of figures, their stances nodding and winking at classical poses. Both Excavator and Hardened visualize anthropomorphized nature under attack. Is the artist present here? Griebel himself inhabits two very different human environments, Sundre, Alberta and Brooklyn, New York. In Hardened we see the artist/environment merge leading to conflict and danger. In the oil-dripping Slick Form and Greaser, we are challenged to own the catastrophic impacts of oil spills as the black sludge assumes human form and engages directly through startling yellow eyes. The oiled bird, the casual disinterest implied as the leaking tanker perches like a jaunty, fashion-forward head piece, the delicate fingers reaching for balance – all serve to disarm. Griebel has said Marjory the Trash Heap was an early influence; a character in the 1980s TV show Fraggle Rock, Marjory was about as benevolent a pile of garbage as you can imagine. She was more compost that pollution as she counselled working together for a greater good. There is a sense of that whimsy in this work that belies the gravity of the topic at hand. Outside the ‘garden’ installation, a much larger and more abstract piece demands attention. Offshore, its skin a bristling carapace of shells dripping seaweed tendrils, the ‘head’ a faceless conch, rises out of an ocean bed congealed with plastic and dead birds. Oddly reminiscent of both the monster in Stranger Things and the Pale Man in Pan’s Labyrinth, Offshore treads carefully, maintaining a low centre of balance. The strips of kelp move ever so slightly in small drafts lending just enough movement to enliven the shadows cast on the surrounding walls, creating an illusion of movement. Is Offshore malevolent? Or pitiable? As with many of these works, much depends on the viewer’s own level of engagement and personal touch stones. The smaller works on veneer, while charming in their ingenious visual slights of hand, Greibel’s vision is more unsettlingly dark. Greibel offers a rich mix of material and psychological informants in these works. 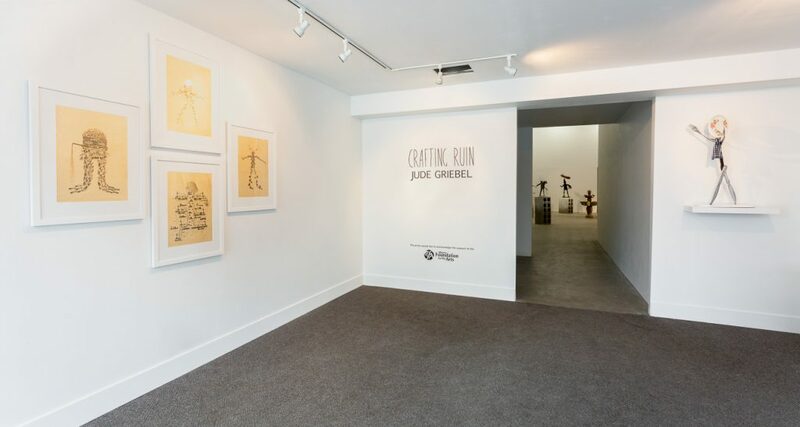 The show as a whole may leave you questioning where you are situated on the evolutionary trajectory Greibel brings to life.